I love the summer's showy flowers, brilliant with color. 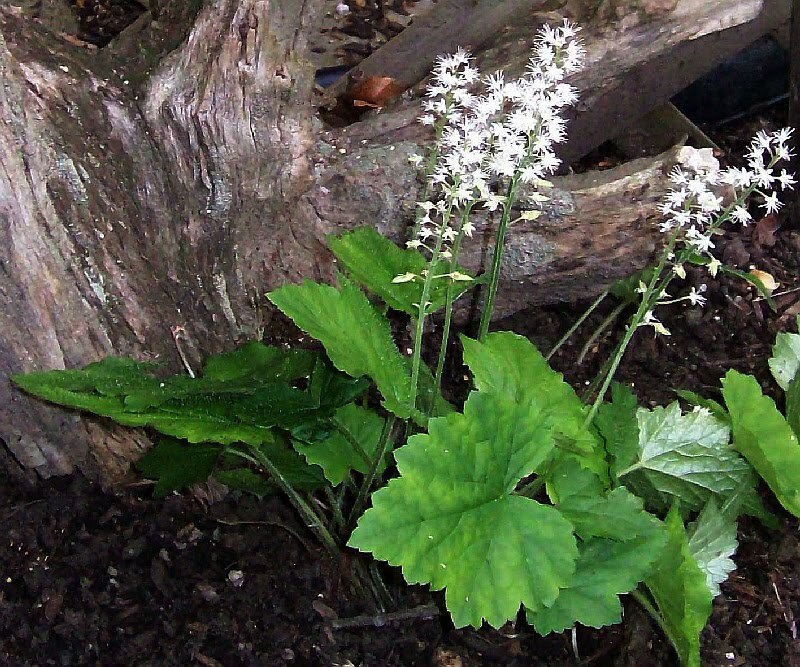 I also love the simple elegance of flowers like this tiarella, a woodland flower also known as foam flower. It is but one of the many wildflowers that raise their heads in my creekside woodland, from early spring through autumn. Many of the woodland flowers can't be seen unless you walk into the woods. And I do that often.